Since 1984, the nonprofit organization Island Press has been stimulating, shaping, and communicating ideas that are essential for solving environmental problems worldwide. With more than 1,000 titles in print and some 30 new releases each year, we are the nation’s leading publisher on environmental issues. We identify innovative thinkers and emerging trends in the environmental field. We work with world-renowned experts and authors to develop cross-disciplinary solutions to environmental challenges. Island Press designs and executes educational campaigns in conjunction with our authors to communicate their critical messages in print, in person, and online using the latest technologies, innovative programs, and the media. Our goal is to reach targeted audiences—scientists, policymakers, environmental advocates, urban planners, the media, and concerned citizens—with information that can be used to create the framework for long-term ecological health and human well-being. Island Press gratefully acknowledges major support from The Bobolink Foundation, Caldera Foundation, The Curtis and Edith Munson Foundation, The Forrest C. and Frances H. Lattner Foundation, The JPB Foundation, The Kresge Foundation, The Summit Charitable Foundation, Inc., and many other generous organizations and individuals. 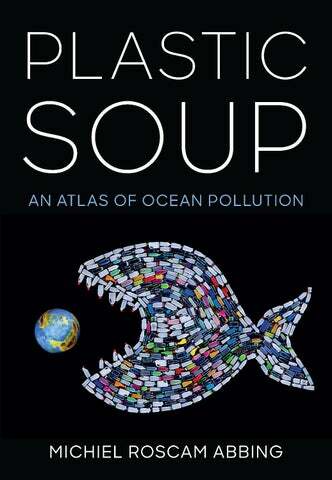 Generous support for the publication of this book was provided by Margot and John Ernst in honor of their granddaughter, Sydney, who champions a future with reduced plastic. The opinions expressed in this book are those of the author(s) and do not necessarily reflect the views of our supporters. 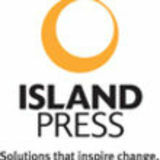 Island Pressâ&#x20AC;&#x2122; mission is to provide the best ideas and information to those seeking to understand and protect the environment and create solutions to its complex problems. Click here to get our newsletter for the latest news on authors, events, and free book giveaways. Get our app for Android and iOS. © 2019 by Michiel Roscam Abbing Translation: © 2018 Uitgeverij Lias BV Translation by Tessera Translations Design by Nico Richter Infographics by Jan Vork First published in 2018 by Uitgeverij Lias in the Dutch language. Published in the English language in 2019 by Island Press. All rights reserved under International and PanAmerican Copyright Conventions. No part of this book may be reproduced in any form or by any means without permission in writing from the publisher: Island Press, Suite 650, 2000 M Street, NW, Washington, DC 20036 ISLAND PRESS is a trademark of the Center for Resource Economics. Library of Congress Control Number: 2018963536 All Island Press books are printed on environmentally responsible materials. Manufactured in the United States of America 10 9 8 7 6 5 4 3 2 1 Because this book was originally published in the Netherlands, the metric system has been used for all measurements. To ensure accuracy, we have left these measurements in their original units. Please consult the chart below for some basic conversions: 28 grams = about 1 ounce 1 kilogram = about 2.2 pounds 1 meter = about 1.10 yards 1 kilometer = about .62 miles 5 milliliters = about 1 teaspoon For example, the average American produces 85 kilograms of plastic waste each year—that’s about 185 pounds. This book is dedicated to children everywhere, in the hope and conviction that they will live in a world in which plastic soup is no longer on the menu. ď&#x192;&#x2018; Used bottles sometimes get a second lease on life as bricks for a wall. They turn out to be a cheap building material and are no longer discarded.  A manta ray feeds amidst plastic pollution off the Indonesian island of Nusa Penida. Filter feeders such as this species are particularly susceptible to ingesting plastic and associated toxins. of waste being tipped into the ocean every minute of the year. Unless there are improvements, this will be two truckloads per minute by 2030. By 2050, it will be four truckloads a minute, and by weight, the seas will contain more plastic than fish.  Tons of plastic reach the world’s oceans annually via rivers—much more from some countries than from others. ď&#x192;&#x201C; An incredible amount of litter accumulates along the high-water mark on Cuttings Beach south of Durban, South Africa. It is a regular occurrence following heavy rainfall. The contributions of each country to plastic soup vary greatly, determined primarily by population size and the presence or absense of a waste disposal infrastructure. The figure of eight million tons does not take into account what ended up in the oceans in the years before 2010, or the contributions that shipping and fishing make every year to the plastic soup. On average, about 80 percent of the plastic comes from the land and about 20 from maritime sources. In other words, the total amount of plastic added in 2010, including from maritime sources, was ten million tons rather than eight million. All that plastic does not degrade naturally and will remain in the environment. Cleaning up beaches and coastlines does help reduce the amount of plastic soup. Everything that washes up and is cleared away has after all been removed from the environment. The amount of plastic in the worldâ&#x20AC;&#x2122;s seas is accumulating nevertheless: more is flowing in than is being cleared. Although a proportion of the plastic is carried by the major ocean currents to the centers of the five subtropical gyres, the heaviest concentrations are found elsewhere. Specifically, they are found in the coastal waters off densely populated areas such as the many cities in Southeast Asia and elsewhere that are home to more than one million people. The beaches near Durban in South Africa, for example, are chock-full of plastic after every storm. Inland seas are a separate problem. The concentrations in the Mediterranean are increasing, because that particular sea only has a limited connection to the Atlantic. What goes in, stays there. The Red Sea and the Black Sea are among the most polluted in the world for the same reason. Countries that are located near the ocean currents are exporting their plastic, as it were. After a voyage lasting between two and five years, plastic from the United Kingdom ends up in the uninhabited Arctic zones. Even the most remote places cannot get away from the increasing levels of pollution from plastic. would weigh somewhere between 93,000 and 236,000 tons. That is, however, only a tiny fraction of the roughly ten million tons that were reckoned to have ended up in the sea in 2010 alone. Their conclusion was that there is, in fact, a lot less plastic to be found than might be expected. As of the time of writing, nobody has really been able to explain this mystery properly. T H E M Y ST E R Y OF THE DISAPPEARING P L A ST I C ď&#x192;&#x2018; Not much is yet known about the quantities of plastic that are suspended in the water. This photo was taken in 2011 in Roatan, Belize. plastic gets ground down in their stomachs into little pieces that they can excrete. This is the case for the northern fulmar, for instance. In northwestern Europe, these birds have an average of 35 pieces of plastic in their bodies. There are about two million of them in the North Sea area, grinding up and dispersing no less than 630 million pieces each year, representing a total of six tons. A proportion of that will be deposited on land, far from the sea. So, these birds are making the seas a little cleaner while polluting the land. Marine animals that swallow the plastic can also help clear up the mystery. Calculations based on an analysis of the stomach contents of fish that live at depths of two hundred to a thousand meters suggest that they ingest between 12,000 and 24,000 tons of plastic a year. All those animals with plastics in their bodies together represent a colossal and invisible reservoir of plastic waste. ď&#x192;&#x201D; Kamilo Beach in Hawaii, 2008. Plastic fragments from all over the world donâ&#x20AC;&#x2122;t merely accumulate here; as time passes, they also keep getting smaller. process can then continue further, with the microplastics becoming nanoplastics. This fragmentation does not reduce the overall weight of plastic soup, it only affects its composition. The amount of microplastics and nanoplastics have risen exponentially in a relatively short time. It may mean that it is already better to speak of a plastic broth rather than a plastic soup. plastics and microplastics come from, and where do they end up? Countless sources all contribute to plastic soup. ceed most quickly on rocky coastlines, where there are big waves and a lot of sunlight. The plastic becomes brittle, breaks, and is pulverized. On the other hand, plastic that is suspended in the water or that has, for instance, been encapsulated in ice will degrade little, if at all. Animals contribute to fragmentation as well: gammarids can shred a single plastic bag into 1.75 million pieces. The fragmentation process is skipped in cases where microplastics contribute directly to plastic soup, and that happens on a large scale. Microplastics are sometimes produced to be used in that form, as particulates that are added to care products. They are then rinsed off and carried away in the wastewater, with a proportion inevitably ending up in the sea. In other cases, it is about wear and tear. Synthetic material in the rubber of car tires, for example, gets into the air, road shoulders, and groundwater as fine particulates. Plastic clothing wears away while being washed and dried in machines. A substantial proportion of these microfibers end up in the open water via the sewers. ď&#x192;&#x2019; In the summer of 2012, millions of pellets washed up on Hong Kong beaches like this beach at Sam Pak Wan, Lantau Island. ripped open; millions of pellets washed up on the coasts near Hong Kong. Thousands of volunteers reported to help with the cleanup. Industrial vacuum cleaners had to be used and the sand was sieved. It was estimated, in the end, that 70 percent of the plastic was removed. mon ingredients of plastic soup. You can find them everywhere, particularly on river banks and coastlines near plastics factories. Most of the pellets are polyethylene or polypropylene, which are lightweight and float on water. Because they can float, these grains cover great distances and wash up all over the place. Pellets are among the microplastics that are most often found on beaches, sometimes in extremely high concentrations. Cleaning them up is almost impossible, particularly if they are widely scattered. Examining the stomach contents of fish and birds shows that animals also swallow them. Pellets are also sometimes called mermaidâ&#x20AC;&#x2122;s tears, after the mythical sea creature. In old Chinese fairy tales, their tears turned into pearls. Pellets, however, are tears of silent sorrow. Each individual pellet in the environment is the result of a careless action, and of a worldwide production system that is unable to stop the leaks. ď&#x192;&#x2018; Industrial pellets in various colors can be found on beaches and shorelines throughout the world. Cleaning them up is particularly difficult because they are so small. ď&#x192;&#x201C; A microplastic fragment attached to duckweed. Microplastics can have negative effects on floating aquatic plants like duckweed and block root growth. in care products. It became abundantly clear that these particles were not being captured by wastewater treatment plants. This topic ended up high on the political agenda in the United States. After a number of states had introduced legislation, a federal law followed that banned microbeads in 2015.
extremely small size, it is estimated that 75 percent of microplastics get through the wastewater treatment plants in the uk, ending up in the surface waters and finally in the sea. There are 64 million people living in the United Kingdom, and together they are responsible for annual pollution of 16 to 86 tons of microplastics from care products. Cosmetics that are put on sale have to comply with strict requirements intended above all to make sure that they are safe for consumer use. The damage microplastics ultimately inflict on the environment is not covered by the rules. People wash and put on make-up daily. But consumers do not make the effort to study the complex labelling and are often not aware of how they are contributing to pollution and plastic soup. Cosmetics can be made without microplastics. There are plenty of alternatives, but not for the price of products that are full of microplasticsâ&#x20AC;&#x201D;sometimes as much as 10 percent by volume. fibers released during simulated washing of synthetic fabrics. Millions of microfibers can be released in every wash, many of which reach inland waters and oceans. come from washing synthetic materials in washing machines. The wastewater may indeed have been treated, but these microfibers are so small that they cannot be removed from it. Subsequent research showed that millions of fibers are involved in each wash cycle. Everyone with a washing machine is contributing to plastic soup. MICROFIBERS FROM WA S H I N G M AC H I N E S The washing machine was a revolutionary invention that allowed people to clean their clothes without much effort. Time savings on that scale were unheard of and helped women's emancipation in particular. The rise of the washing machine half a century ago coincided generally with the introduction of synthetic fabricsâ&#x20AC;&#x201D;two icons of progress. But the combination of the two was anything but favorable for the environment. While being washed and dried in a machine, synthetic clothing releases fibers in numbers that are mind-boggling. In a single wash of synthetic clothing (weighing five kilograms) the European Mermaids Life+ project counted between 600,000 and 17,700,000 fibers in 2017, equivalent to 0.43 to 1.27 grams. Washing at lower temperatures, using liquid washing detergents, and shorter wash durations all lead to considerably fewer fibers being released. Not that any of this ultimately offers a solution for tackling plastic soup: there is still wear and tear on clothing, and sooner or later, microfibers will be released that are carried away in the wastewater. Fleece is one of the biggest villains. This fabric is made from used pet bottles. The public think they are being very responsible when they recycle pet; after all, the substance is being used again and fleece jackets are both comfortable and affordable. But fleece that is washed or dried in a machine releases extremely large numbers of microfibers. Water treatment plants are not designed to filter these fibers out of the water, so a large proportion of them end up in the surface waters and then in the sea. Incomes are on the rise in many countries and buying a washing machine is high on many people's list of priorities. The growing world population has now become dependent on plastic clothes at prices that are extremely affordable, given the quality. Plastic microfibers that end up in inland waters and seas can never be extracted and will never decay.